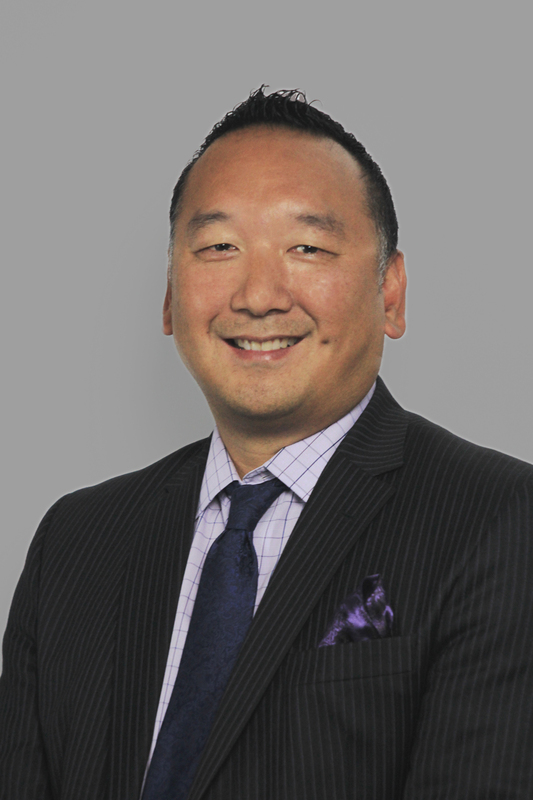 Mike Matsuo has over twenty years of experience in the financial services industry with Vancity Credit Union. He has spent the majority of that time in various leadership roles throughout the organization. Mike is currently the Regional Director for Surrey, Delta and Langley. Mike has a proven track record of developing and motivating his staff to help them reach their potential. Over his career, Mike has been appointed to large scale projects relating to IT, operational efficiency and corporate strategy. In his last project Mike was involved in the replacement of Vancity’s core banking system. Mike is a longtime Richmond resident who participates in many community events and is actively involved with Seafair Minor hockey at the executive level, and he would like to continue to give back to the communities in which he works and resides and he believes being on the Board of KPU foundation will align with this. Kelly Finlay graduated with a Bachelors of Business Administration with an Accounting major from KPU in 2013 and obtained her CGA designation in 2014. She is currently employed as a Manager with the Private Company-Small Business Group at BDO Canada LLP in Vancouver. She is the mother to two daughters. Her volunteering includes Simonds Elementary School PAC and LDA Society. Ken Hahn was appointed to the Board of Governors October 18, 2001, and completed his six-year term on July 31, 2008. He recently retired as Senior Vice President of Human Resources for Coast Capital Savings. Prior to that, he was Vice President of the Richmond Savings Credit Union and was with the Canadian Imperial Bank of Commerce for over 20 years. Ken serves on the BC Credit Union Employees' Pension & Benefits Trust, he also served as a director of the Surrey Chamber of Commerce and Board of the BC Human Resources Management Association. Michael is currently the Vice President of Wealth Management at G+F Financial Group. Prior to joining G+F Financial Group in 2013, Michael spent 19 years with Vancity. He held various roles including Branch Manager and Director, Sustainable Wealth Management. In 2004, Michael was recognized by the Credit Union Central of Canada and was a recipient of the National Young Leader Award. Michael has been a part-time instructor with BCIT since 2009 where he teaches both macro- and micro-economics. Michael holds a Master of Business Administration from Simon Fraser University (SFU). Prior to earning his MBA he completed a BA in Economics and minor in Business Administration from SFU. Michael also holds an Associate Certificate in Financial Planning from BCIT, Financial Management Advisor (FMA) designation from Canadian Securities Institute and is a Certified Financial Planner (CFP). Michael is currently completing a Masters of Science in Economic Policy through University of London with expected graduation in 2016. Michael served on the Board of Vancity Community Foundation for six years including four years as the chair of the Finance committee. He is currently sits on the S.U.C.C.E.S.S. Foundation Board where he is member of the Investment committee and past chair of the East meets West VSO fundraiser. Steve Lewarne became the Chief Executive Officer of the Kwantlen Polytechnic University Foundation in June 2015. In addition to his role as CEO of the KPU Foundation, Steve oversees and leads a dedicated fundraising team as Executive Director for KPU's Office of Advancement. Steve has over 15 years of diverse experience in fundraising, business development and relationship management. Prior to KPU, he served as the Director of Advancement for Athletics at Simon Fraser University. He has also held positions as the Director of Corporate Sponsorship for the Vancouver Whitecaps and Manager of Corporate Sponsorship for the Arts club Theatre Company. Steve was involved in large naming rights gifts for both the historic Stanley Theatre and the creation of Beedie Field at SFU. He has created business partnerships that have been recognized as the Globe & Mail Business in the Arts Awards as Most Innovative Marketing Sponsorship on four separate occasions. Steve holds a Bachelor of Science in Business Administration with a minor in Journalism from the University of Oregon. In his spare time he enjoys cooking, golfing and coaching baseball. Steve lives in Cloverdale with his wife Jillian and his three children, Chanel, Casey and Cody. Jorge Aragon has a Bachelor of Arts degree from Simon Fraser University and holds the Certified Financial Planner (CFP) designation as well as the Registered Retirement Consultant (RRC). Over the past nine years, Jorge has become a well-known financial educator having presented numerous corporate and private workshops. He has taught and coached individuals, families, and small business owners, how being disciplined, implementing strategies and having a well written holistic financial plan will help them achieve the wealth, lifestyle and financial security they desire. Jorge has won numerous accolades both at the local and national levels through Investors Group including Financial Planner of the Year for the Greater Vancouver Central region. Jorge lives in Cloverdale, has a young family of 2 boys and is married to Krista. He has been involved in volunteering since 1999 under various capacities as he believes in giving back to the communities in which we live and work. Some of the various volunteer roles he has held include Auxiliary Constable with the RCMP for over 9 years (2003-2012), Co-chair of the Investors Group Charity Golf Tournament (2009-2011) and most recently being part of the Richmond Sunrise Rotary club (2013 to present). Jorge enjoys spending his time off with his family, golfing, riding his motorcycle and reading. 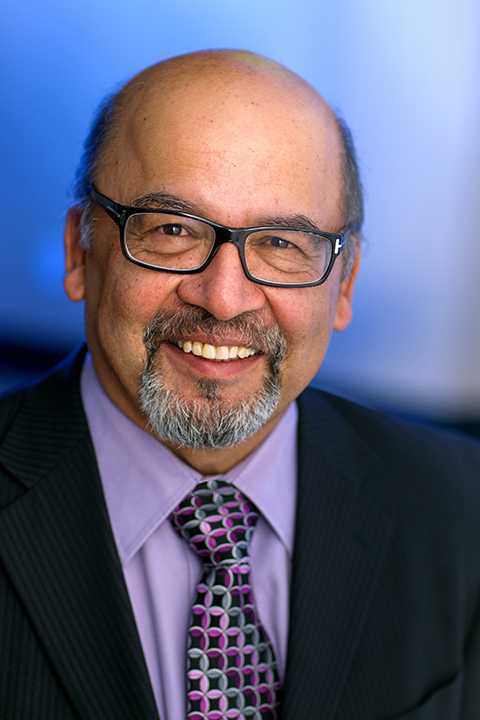 Jorge is thrilled to be part of the KPU foundation to continue giving his time, knowledge and experience. 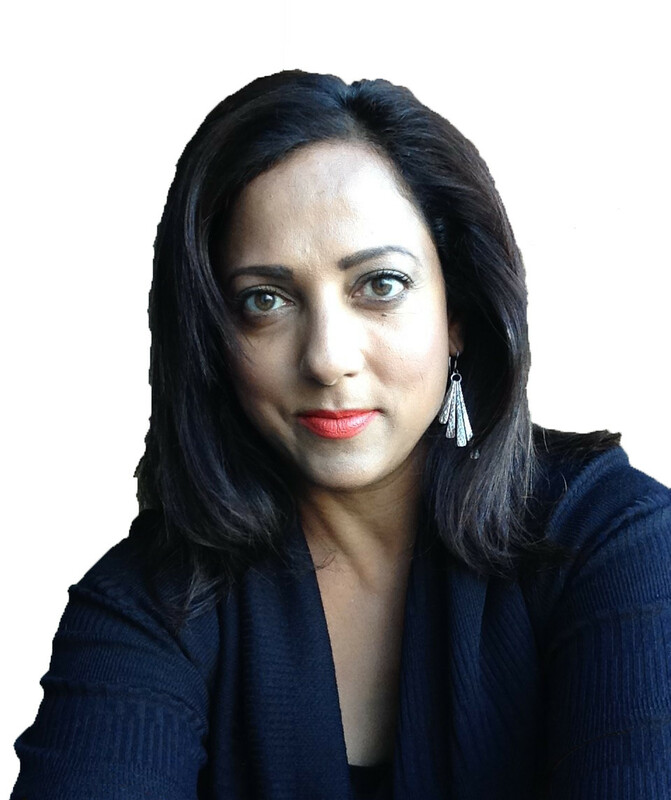 Anita Atwal is an experienced litigator at HHBG Lawyers. Prior to joining HHBG, she practiced at a large regional law firm where she worked for a wide range of clients, having appread at all levels of court in British Columbia and before administrative tribunals. She has advised on a wide array of workplace issues, including contract reviews, terminations, severance packages, and non-solicitation or non-competition agreements. She has a keen interest in issues surrounding workplace investigations and disciplinary proceedings. Anita was born and raised in Surrey. After receiving her undergraduate degree from Simon Fraser University, she obtained her Bachelor of Laws from the University of British Columbia in 2005. Anita was called to the bar of British Columbia in 2006 and is a member of the Canadian Bar Association Employment Law and Human Rights Subsection. She has served as a president and director of the South Asian Bar Association and remains an active member. Anita is fluent in English and Punjabi. Outside of the practice of law, she devotes her time to her family. Matthew Boulton, graduated from Carleton University with a BA in 2000 and obtained his MBA in Finance in 2012 while working as a business banker with TD Canada Trust. Matthew has continued his studies through UBC Sauder School of Business Executive Education program. Matthew joined AMUR Financial Group in May of 2015 and is the current CEO of its subsidiary Full Circle Total Debt Solutions. Amur Financial Group has been active in the tertiary lending industry for over 30 years, with a value of funds under management of $225 million and over $1 billion in loans made to date. Full Circle Total Debt Solutions is a financial services corporation specializing in providing transparent solutions from coast to coast for Canadians burdened with debt. Matthew has lived in Cloverdale since 2009, has two young children and is married to Nicole. He has been involved in volunteering for 25 years under various capacities as he believes in giving back to the communities in which we live and work. Some of the various volunteer roles he has held include acting as President & Past President for his local Federal Electoral District Association coaching Basketball at the University level with UVic, UBC & TWU, and most recently acting as Head Coach with Columbia Bible College. Matthew enjoys spending his time off with his family, golfing, cycling, playing guitar and the outdoors. Christine Brodie graduated with a Masters of Arts from California State University, Long Beach in 1971 and further university courses at UBC and SFU. She began her career as a classroom teacher and became a specialist in math and reading and working with children with learning disabilities. Christine has retired as a Teacher Consultant for the Richmond School District in Community Outreach and the District Autism Team. She had worked with students and was involved in professional development for staff. Christine's community involvement includes serving on Boards and Committees - Richmond Caring Place Society (1994; Chair 1998-2002), and Richmond Family Court Committee (1997 - 2002). She has also served on Boards in the financial sector — Coast Capital Savings (1993 - 2008), Credit Union Central — BC (1997 - 2005) and The Co-operators Group (2002 - 2008). Christine currently serves as Past-Chair of Kwantlen Polytechnic University Foundation, a member of Richmond Sunrise Rotary, Canadian Federation of University Women, volunteering for the Richmond Food Bank and Youth dragon boating teams. Alan Ross Davis was born in Reading, England. His father taught high school mathematics and his mother worked in various factory jobs. He attended Ranelagh School where he was active in sports, theatre and Boy Scouts. In 1968, he attended University College London to study chemistry, and was awarded his BSc with honours in 1972. During his time at UCL, he was involved with the Dramatic Society and played the lead in a rare production of Mrozek’s Tango. In 1972 he was accepted into graduate school at Simon Fraser University where he received MSc and PhD degrees, and worked under the supervision of Professor Frederick Einstein on determining the structure of inorganic coordinate compounds using X-ray crystallography. Dr. Davis also furthered his interests in theatre and played roles in many productions, including Marat/Sade, A Man is a Man, The Merchant of Venice, Sergeant Musgrave’s Dance and St. Joan. In the late 1970’s he began 12 years as a chemistry faculty member at the (then) Fraser Valley College. He also became active in community theatre, writing and directing plays with the college and the Chilliwack Players Guild. He was elected to the Chilliwack School Board, serving as Chair for seven of his 13 years as a Trustee. 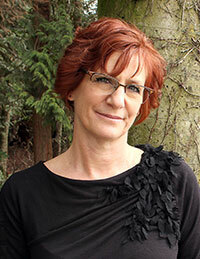 Marlyn Graziano is Vice President, External Affairs at KPU. She joined KPU in February 2013, after a career in local media, in roles ranging from journalist and editor at a number of community newspapers, to editorial director for a chain of newspapers, to publisher of the largest-circulation community newspaper in Surrey, North Delta and White Rock at the time. Marlyn's portfolio at KPU includes community engagement, stakeholder relations, government, media relations, corporate communications, issues management, alumni relations, marketing and recruitment and advancement. She is responsible for managing and co-ordinating external relationships in all KPU communities and developing and maintaining government relationships at the local, provincial and federal levels. Throughout her more than 25 years working, living and raising a family in this region, Marlyn has enjoyed the opportunity to serve in a number of volunteer capacities with non-profit organizations throughout the KPU region, including the Surrey Board of Trade, Sources Community Resource Society and KidSport. She is also a member of the community council for Langley's Gateway of Hope. Aside from those formal connections, she can often be found, sometimes with family in tow, at local Terry Fox Runs, food bank fundraisers and hospital foundation benefits. Marlyn was awarded a Queen Elizabeth II Diamond Jubilee Medal in 2012 to honour her significant contributions to her community. Her involvement with KPU began while she was a journalist, when she served for many years as a member of the university's Journalism Advisory Committee. Marilena Flückiger and her husband, Peter, have lived in White Rock for over 30 years. Marilena completed an Education degree at SFU and taught elementary school, grades 4-7, for 7 years. She specialized in art education and was responsible for rewriting the art curriculum for Grades K to 7 in the Prince George School District. She was accepted to the Douglas College Interior Design Program and studied there for a year before returning to SFU to complete a degree in General Studies with a major in Psychology. She served as HR and Communications Manager at Fleetwood Sausage Ltd., the family business, which was sold in 1992. In 1994, Marilena and her husband, Peter, designed and built Blue Star Cold Storage, with locations in both Vancouver and Calgary. After selling the family business in 2002, Marilena has been involved in several community projects. She served as Communications and Marketing Director for the Swiss Canadian Chamber of Commerce, Director in the White Rock Tourism Board and Chair of the Communities in Bloom Committee in White Rock for several years. 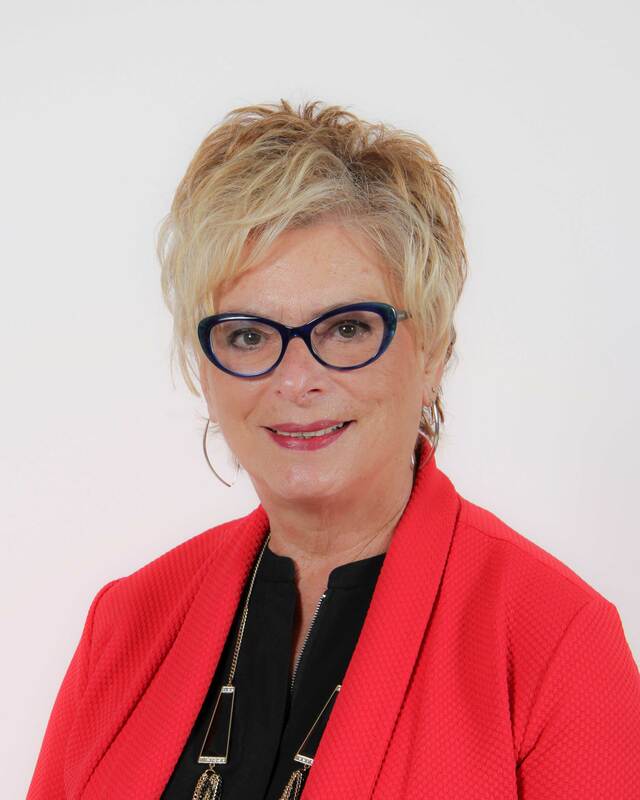 She is presently serving as President of the White Rock Museum Board, Chair of the Public Arts Committee in White Rock and Director on the Kwantlen Polytechnic University Foundation Board. She completed the Vandusen Botanical Garden Master Gardening Program in 1992 and continues to volunteer regularly as a Master Gardener for over 20 years. Marilena finds it inspirational to work with people who give selflessly to make White Rock reach its higher potential. She presently works as a personal Interior Design shopper for clients both locally and in Arizona. Her leisure interests include skiing, Italian language, interior design, cooking and entertaining, sports nutrition, ballroom dancing, and gardening, both here, in White Rock and in her Scottsdale, Arizona garden. Herb is a retired banker with years at the Executive level; he is currently a self-employed Consultant. Herb retired from Coast Capital Savings in 2013 after 22 years; he was last positioned as Vice President Branching, Location Strategy and Facilities. While with Coast, Herb's employment history includes various management levels of retail banking, and, since 2004, all aspects of the Credit Union's real estate requirements such as lease negotiation and management, and all renovation, re-location and new branch construction projects. Prior to Coast, Herb worked for HSBC for 13 years in a variety of Management positions. Herb holds a BA (Econ) from the University of BC and areas of expertise include financial analysis, strategic planning and project management. Herb has been a long-time supporter of the United Way and has served as a committee member at KPU Foundation since 2011. Michael is currently the Chief Product Officer at Genesis Gaming, a multinational technology company in the gaming sector. Michael's past experiences include nine years in various senior management roles with a global gaming company and eleven years with a global telecommunications company running through the ranks from software engineer to sales engineer to product manager. Michael holds a Bachelor of Science degree in Computing Science with a minor in Business Administration from Simon Fraser University. He also holds the rank of Black Belt in Brazilian Jiu-Jitsu from the International Brazilian Jiu-Jitsu Federation. Michael Lives in Coquitlam with his wife and two children. 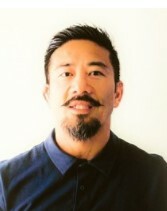 In his spare time, he teaches and practices at a little Brazilian Jiu-Jitsu school that he co-founded that has as its core philosophy, "Changing lives through the training and practice of Brazilian Jiu-Jitsu." Balraj Mann is the CEO and Chairman of BM Group of Companies that comprises of a diverse portfolio of structural restoration, waterproofing, construction management, materials supply and real estate related businesses, strategically aligned to provide value added services to construction and the real estate industry. Starting from the Lower Mainland, British Columbia, the group has now expanded its operations to other parts of Canada, U.S.A and South Asia. Premier's Advisory Council on Literacy, Fraser River Port Authority, Rotary Club of Ladner, University of the Fraser Valley Foundation, Credit Union Central of British Columbia, Credit Union Central of Canada, World Council of Credit Unions, The Co-operators Group, Nationwide Insurance, Co-operative Trust Company of Canada, Canadian Co-operative Association, Northwest Territories Co-operative Business Development Fund, Envision Financial Board of Directors. Peter's international experiences include work on Credit Union and Co-operative Development projects in Asia, Australia, South America, Africa, and Europe. In 1999 he was elected to the Canadian Credit Union hall of fame, and was previously honoured as a British Columbia Credit Union Pioneer. Gary recently retired as Chief Operating Officer from Allteck line contractors. Gary spent 38 years at B.C. Hydro, retiring as Senior Vice President of Operations. Gary has an Executive MBA from Richard Ivey School of Business. Gary's range of expertise includes: Electrical Operations, human resource management, organizational transition, Strategic Planning, Safety, and Performance Management. Gary currently lives in Surrey with his wife Marilyn, they have 2 grown children. Ranjit Sandhu is the Associate Vice President of Retail Banking for G&F Financial Group's Surrey and Langley Branches. She is proud to work for this 75 year old dynamic and innovative lower mainland community Credit Union for 26 years. She attributes her passion for paying it forward to our youth and local communities to the amazing philanthropic leaders and giving culture this organization has a history of. G&F Financial Group has been a perennial supporter of United Way, BC Children's Hospital, Langley Hospital Foundation, local youth sports and providing sponsorship & scholarships to many schools and universities including KPU. Ranjit is an active supporter of many charities via volunteering at events and fundraising. Ranjit has lived in three continents. She completed her International Baccalaureate and Duke of Edinburgh Award at the International School of Tanganyika. She was a national Badminton player that won the African Junior Championship and the athlete of the year award in Tanzania. Apart from coming from a family of Olympic players, she also inherited her family's dedication to support organizations that help the less fortunate, youth and seniors of our local communities and internationally. She got a sports scholarship to the UK where she completed her BA Honours Degree in Sport Studies and History. She has a Certificate of Strategic Leadership from UBC Sauder School of Business. She has been living in Cloverdale for the last 20 years. She is a world class traveler, active fund raiser, mother of two active teenagers, loves sports especially racquet sports and golf, gardening is her relaxation and she enjoys socializing with her large and enterprising social circle. 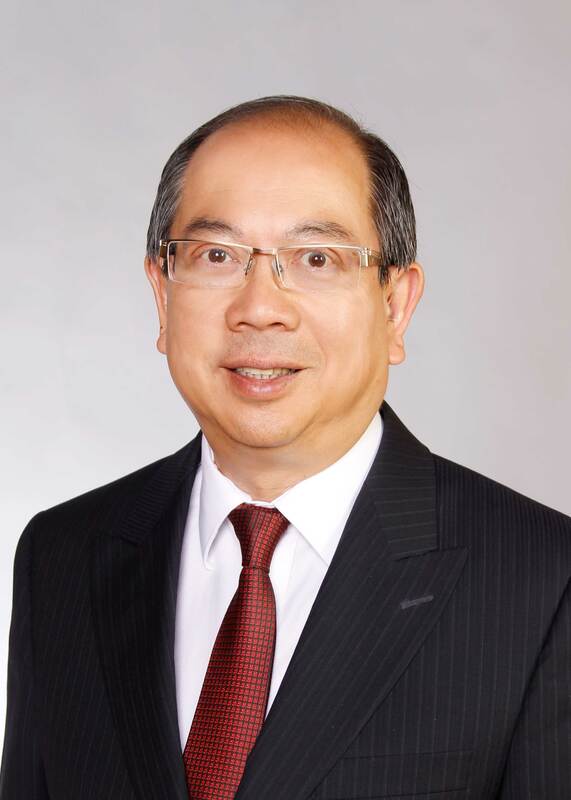 Alan Sung has over thirty five years of Finance, Planning, Management, and Marketing experiences. He earned his Bachelor of Science in Business Management from University of Phoenix while working for Canada Post Corporation as a Financial Analyst. He had also completed an Executive Management Development Program with Simon Fraser University. He retired from the Post Office in 2008 and is currently a Certified Mortgage Specialist with Clear Trust Mortgages Inc.
As for community involvement, Alan is an ambassador for the Richmond Chamber of Commerce promoting and helping local businesses. He is a member of the Friends of the Richmond Library raising funds for the local libraries. He is also a co-host for an Internet Radio Station and a freelance writer. Praveen is the founding Partner of "Vohora LLP" a Chartered Professional Accounting firm. His leadership of the firm in the last 40 years has helped in expanding the firm from his humble beginnings in Prince Rupert, BC to establishing an office in Surrey and Vancouver. Praveen was born in Tanzania, Africa and obtained his CA Designation in England in 1973. He is an member of the BC Association since 1976 and was recognized by the Association as a Fellow in 2014. In the profession, Praveen has written tax-related articles and taught in house seminars. He has served on the CA Institute's Council and various committees. Praveen also served as a director of the Prince Ruper Port Authority and Ridley Island Terminal Inc. In the community, Praveen was a longstanding member of the Rotary Club of Prince Rupert, and received two Paul Harris Fellowships recognizing his service. He has also volunteered with his local Sikh Association, the Prince Rupert Racquet Association, North Coast Health Improvement Society, and the Hecate Straight Employment Development Society. Praveen was the financial agent on numerous provincial and federal campaigns. Married for 42 years, Praveen enjoys playing golf in his spare time. Catherine is a litigator at CW Injury Law and has 10 years’ experience in both plaintiff and defence work. She has represented civil matters in British Columbia Provincial Court, Supreme Court and Court of Appeal, as well as the Workers Compensation Appeal Tribunal. Catherine has a Bachelor of Commerce and Bachelor of Laws degree from the University of British Columbia. She also volunteers for the Canadian Liver Foundation and the BC Centre for Elder Advocacy and Support. In her spare time, Catherine enjoys the outdoors with her husband, and chases her two young daughters around the park. Bill Wright was a senior partner of Davis and Company where he had a corporate commercial practice and was for several years the Chairman of the Management Committee. He currently serves as a member of the provincial Employment Assistance Appeals Tribunal. Bill is active in a number of community and volunteer organizations, including Watari Research Association of which he is the immediate past president; the Credit Union Foundation of BC from which he holds a Distinguished Service Award; and the Advisory Board of the Franciscan Sisters Benevolent Society. Also, he has served as president of the Vancouver Opera and the Opera Foundation and as a director of the Co-operative Housing Federation of Canada. For several years Bill served as a volunteer for CCA/CIDA in the development of micro credit projects in rural China.